Judging by the seemingly random development of Toronto condo buildings that are being built and the zoning laws that are being revised, it’s hard to believe that anyone is looking at the big picture. However, there is actually a plan for how Toronto should be growing. And it’s called Toronto’s Official Plan. The first citywide plan came into place in 2007, replacing pre-amalgamation plans. It currently includes planning up to 2031. Torontoist has written an interesting overview of the plan and how it affects how we live. Chapter 6 of the Official Plan, which deals with ‘detailed local development policies’ is currently under review. One of the sections in which I’m most interested deals with how the city’s heritage is being preserved. There are currently 53 different policies regarding heritage buildings, including policies on the Heritage Register, raising heritage awareness, development of heritage properties and more. 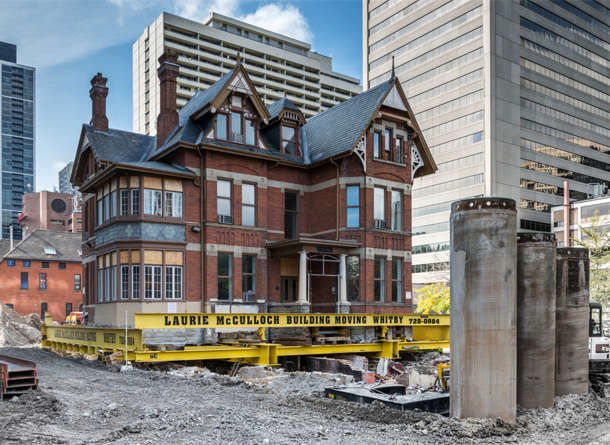 The demolition of Toronto buildings which have historical significance has been well documented. Thankfully the plan is in place so that when these sites are developed, such as the building at the James Cooper Mansion or the condos at 5 St. Joseph Street, the heritage buildings are incorporated into the design. In fact, there are 16 designated Heritage Districts in the city including Cabbagetown, Riverdale and Wychwood Park, with another six under consideration, which means that more of our neighbourhoods will be preserved while still allowing for growth. If you’d like to go through the entire plan, click here. For the Torontoist piece, click here.